I kept meaning to go check out the monthly group meet-up of the Minnesota Rollergirls at the craft store in my neighborhood, Crafty Planet. I thought I’d be a little star-struck, which is what made me a little hesitant (oh, that social awkwardness) but I finally made it to the meet up last month. I met Konceal N Kari, who showed me the pattern book full of hats and the plentiful pile of yarn with which to knit. Crafty Planet donates all of the yarn for the group. 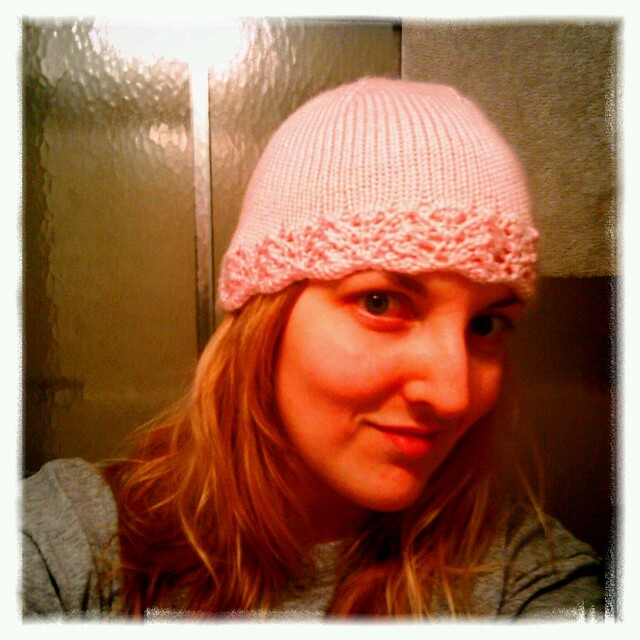 It’s only a two hour event, but I chose a pretty pink yarn and a slightly challenging pattern for my second attempt at knitting a hat, found a chair, and cast on. 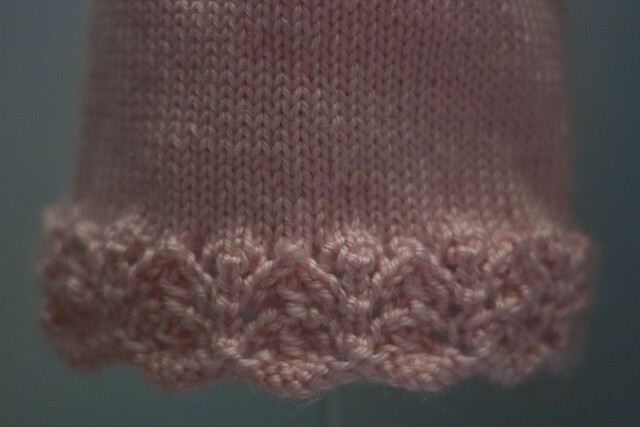 I got a couple rows of the lace done before I realized that I had already screwed up, so I used the opportunity to ask for some help from the gal sitting next to me — which got us talking about nothing related to knitting at all. Isn’t it fun to meet new, interesting people? This is why I wanted to go to a crafting group! When I got home later in the evening, I started it all over and it was fun! I wasn’t necessarily knitting on a deadline, I didn’t have to keep it a secret lest the recipient find out, and I was knitting a hat! 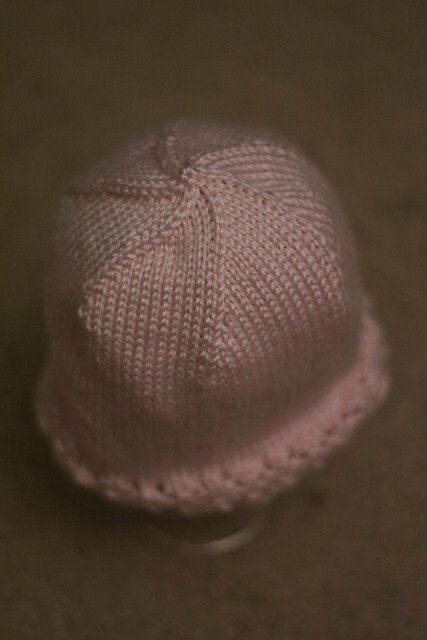 I haven’t tried knitting a hat since 2006 or 2007, and when I tried then, it was very much a mushroom-shape. 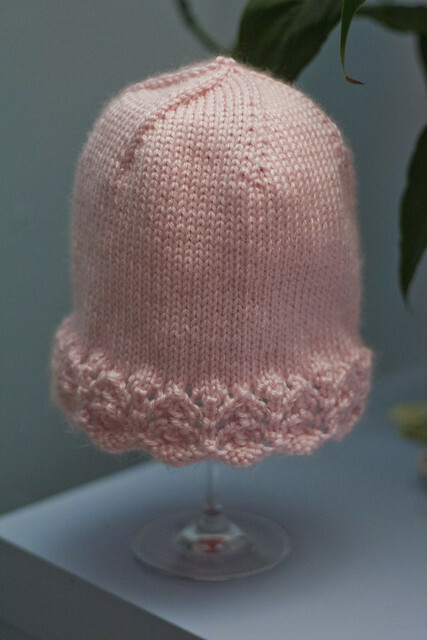 I love how this hat turned out — delicate and feminine. 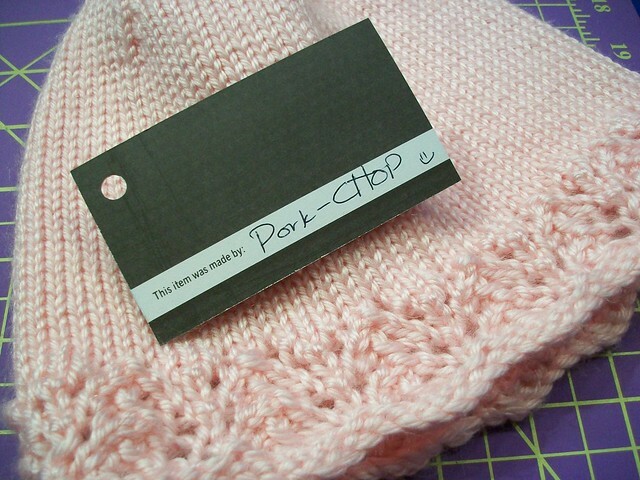 I dropped it off at yesterday’s meeting, and picked up more yarn for another hat! 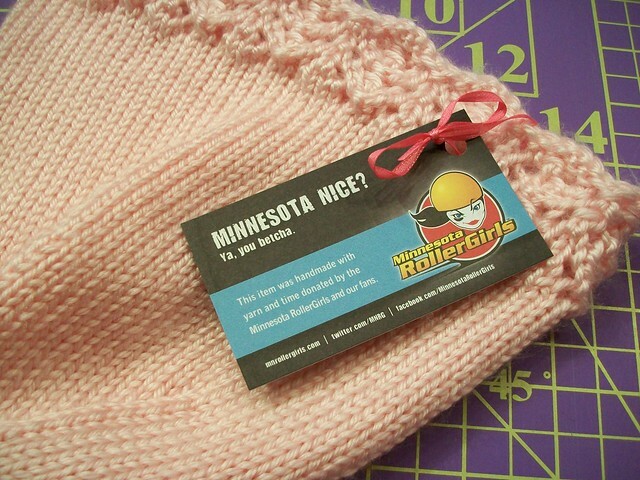 Side note: if you’re in Minneapolis and interested in knitting hats for charity, Crafty Planet will accept donations at any time. Additional side note: The Rollergirls only have one more meeting this season, but Crafty Planets hosts a craft-n-chat group on the second and fourth Tuesday nights of the month from 6–9 p.m. I’m definitely planning to go sometime.